Sun, Sea and Fiesta - The Top 10 things to do in Miami! Forget stress, work and deadlines and make space for relaxation and fun. With sun throughout the year, it’s easy to see why Miami has become one of the most popular destinations to study English abroad. 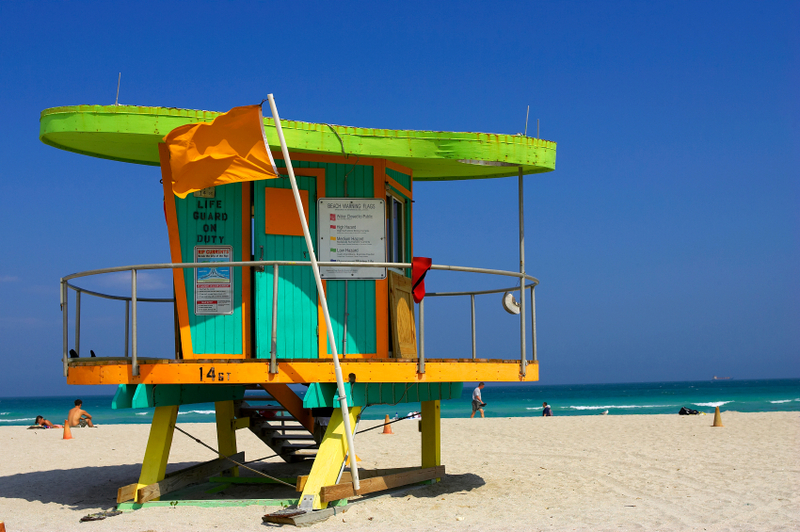 Check out the top 10 things to do in Miami! 1. Ocean Drive and South Beach: It is the first place to go, and for many it becomes the only one -- South Beach! It is the center of nightlife in Florida, with trendy bars and restaurants. It has parties every night, every day and even every hour, and you’ll be sure to meet people of many nationalities. 2. 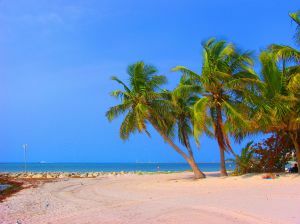 The beaches of Miami: With over 35 miles (56 km) of coastline and sandy beaches, surely one of the best activities is to enjoy the sun and the sea. There are beaches for relaxing, and others for sports and even families. The hardest part will be choosing the best one! 3. Everglades National Park: Just few minutes away from Miami is the Everglades National Park, the third largest national park in the United States. 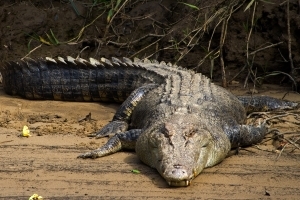 It has miles of wetlands filled with wildlife such as alligators, crocodiles, dolphins and panthers. Kaplan organizes weekly trips for students, don’t miss it! 4. SeaQuarium: If you're passionate about aquatic animals, this is a paradise where you can already expect to spend at least a day. Located in the center of the city, it offers the most diverse and fascinating marine species. 5. Coral Castle: Discover the exciting story of Edward Leedskalnin when you visit one of the most extraordinary and fascinating megalithic sites in the world: Coral Castle. The legend says it was built entirely by hand, with fossilized coral stones, and using only rudimentary tools. Discover the whole story there. 6. Shopping: If you love shopping, do not miss a walk on Lincoln Road. Find boutiques, all the big names and major U.S. retail chains. There are also luxury brands like Armani, Versace, Dior and Gucci. Window shopping does not cost much, does it? 7. Sports in Miami: Miami offers many opportunities to practice or attend sporting events. Kaplan programs give you the opportunity to attend Florida Marlins (baseball), Miami Dolphins (American football), Miami Heat (basketball), and Florida Panthers (ice hockey) games. 8. Little Havana: An essential place to visit to understand the history and present times of Miami, Little Havana hosts about 600,000 Cuban exiles. When they landed, they brought their traditions, music and dancing. 9. Key West: A Florida island south of the state, with beautiful beaches, restaurants and bars, it also used to be home to the American writer Ernest Hemingway. Easy to reach from Miami in about 3 hours by car, Kaplan organizes weekend trips for students. 10. The Design District and MAM: The Miami Design District is in the heart of Miami, redeveloped and fully dedicated to the arts. There are galleries, shops and events all characterized by the design. Cool places worth a visit are the Bacardi Building, the Buick Building and the Museum of Contemporary Art (or MoCA). Also, don’t miss the Miami Art Museum, which hosts contemporary art exhibitions all year round. From art to nature, from local history to sports … studying English in Miami offers social opportunities to please everyone. Why don’t you try it out yourself?